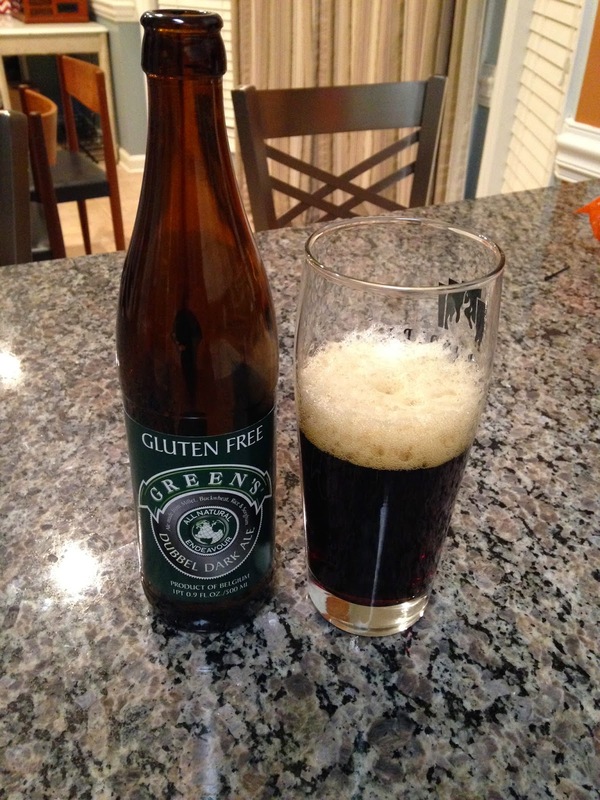 The Honest Dietitian: Green's Gluten-Free Beer- YES! YES! YES! It has satisfying hints of dark sugar and toffee and was a welcoming brew to enjoy after a hectic day when you just need to sit and relax for a bit. In the future, what I would like to do (although I can never pour them as well as the bartenders) would be to mix the Endeavor Dubble Ale with the Samuel Smith's Organic Cider to make a Snakebite: 1 part cider + 1 part beer. The Samuel Smith's Organic Cider is naturally GF and I can see why it has won many awards, as it is crisp and light and is a heavy contender against my beloved Strongbow Cider. Now, I have to admit that the genre of beer that I am least likely to order is the IPA. I am not a huge fan of super hoppy brews where I feel like I have remnants of a floral garden in my nose after drinking. But, I was extremely surprised by Green's India Pale Ale and would confidently say that this would be the perfect IPA for people who do not typically enjoy IPAs. It is hoppy, but not overwhelming. 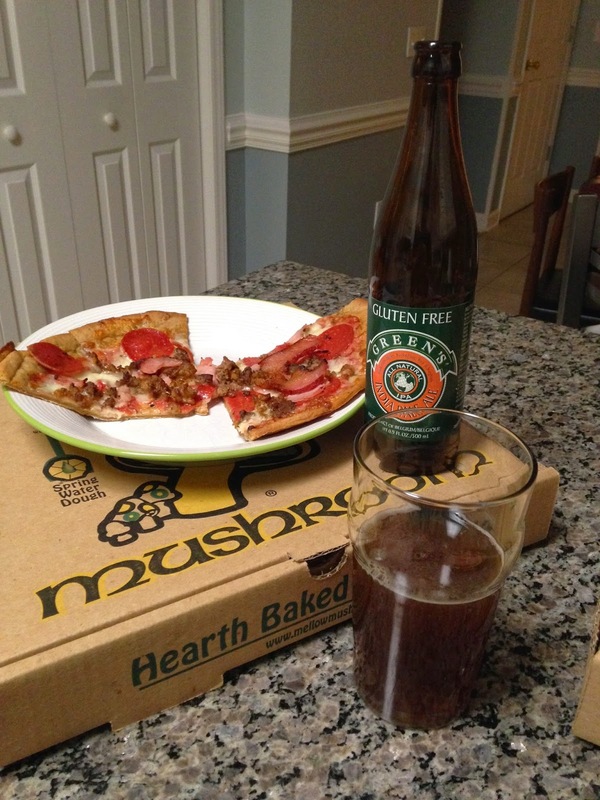 You can taste the hints of caramel and the beer paired perfectly with our GF Pizza from the Mellow Mushroom. Last, but certainly not least, was my absolute favorite of all of the beers: Green's Enterprise Dry-Hopped Lager. This beer is refreshing and at the first sip. I was yearning for the summer- visions of grilling out and swimming in the pool danced through my head. This brew has citrus tones and I certainly tasted hints of grapefruit (yum!). This is certainly the #1 GF Lager on my list. Overall, I was extremely impressed with the Green's GF Beers and the Samuel Smith's Organic Cider. My previous mostly negative experiences with other GF beers have been replaced with positivity. If you are a beer snob like me, these are the GF brews to try!